Bangladesh Petroleum Institute Jobs Circular 2017 has published on 13, June, 2017. BPI Jobs Circular 2017 also published on Prothom Alo Chakrir Khobor jobs newspaper. The Jobs Circular 2017 has punlished on www.bpi.gov.bd The interested applicant find the Bangladesh Petroleum Institute Jobs application form on www.bpi.gov.bd. Applicant can apply within on 27 July 2017 by postal order/ Courier service. The candidate find Application Bangladesh Petroleum Institute Jobs Circular in Ziggasa.com. Fees: BDT- 500 Tk (1-3), 200 Tk (4-6). 4 Copy (5×5) cm size pic attached in Application form captured recently. Write the post name and applicant’s district on Postal Order / Direct to office. Pay fees by Bank Draft or Pay-Order. 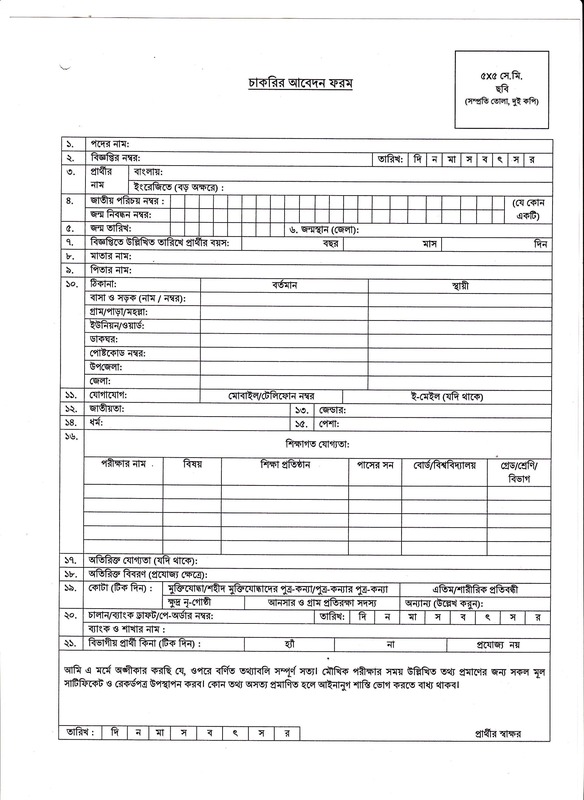 Send application form following address : Mohaporichalok, Bangladesh Petroleum Institute (BPI), Sector-8, Flot-5A, Uttora Model Town, Dhaka-1230. All Document send with application form which was wanted in the circular.